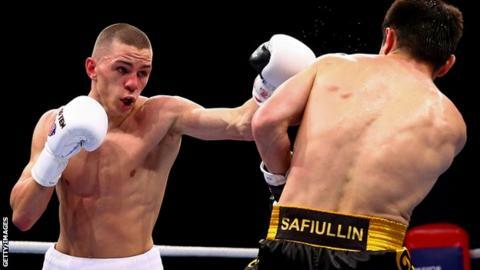 The British Lionhearts qualified for their first World Series of Boxing final by beating reigning champions Kazakhstan 7-3 at York Hall in London. Leading 3-2 overnight, the Lionhearts started well with wins for overseas selection Koryun Soghomonyan of Armenia and England's Luke McCormack. Radoslav Pantaleev of Bulgaria gave the Lionhearts an unassailable lead, with Frazer Clarke sealing the result. The Lionhearts will face Cuba in the final on 4 June in Uzbekistan.